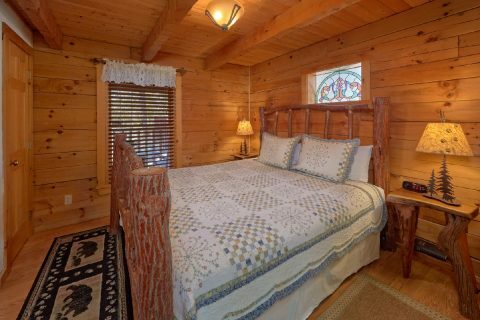 Echota Resort Rentals - "Aah Rocky Top"
One of our Echota Resort Rentals, "Aah Rocky Top" offers guests a cozy Smoky Mountain rental that features a comfortable interior and location close to Pigeon Forge. 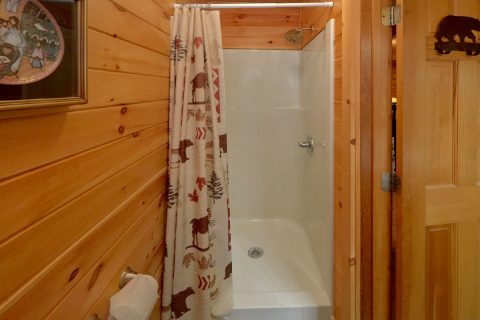 Complete with all the amenities for a relaxing vacation near Pigeon Forge. 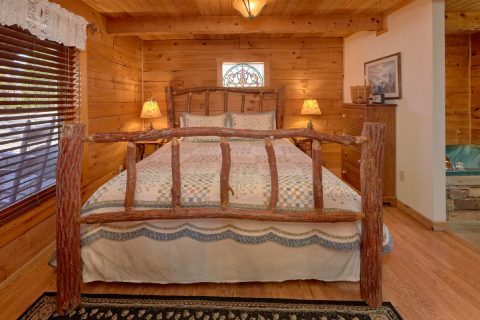 There's plenty of fun and exciting adventures to have in nearby Pigeon Forge. 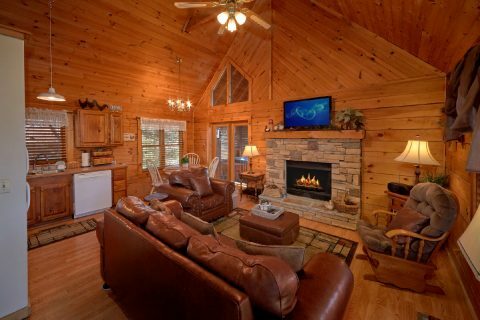 From a day of shopping at The Island to fun afternoon of mini-golf, there's something for everyone to enjoy in this vacation town in the Smokies. 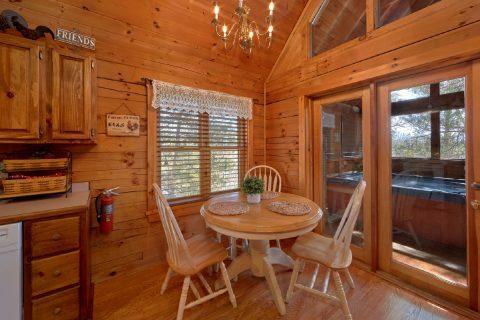 There's plenty of space to relax and unwind on vacation at your cabin. 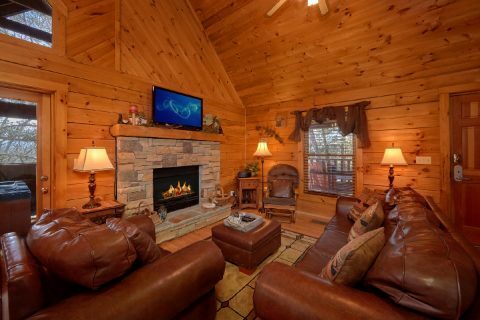 Enjoy a movie night in the living room around the warm glow of fireplace. 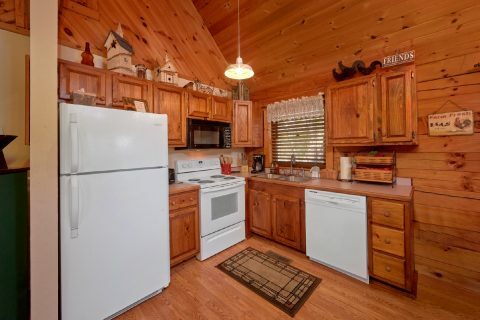 Cook delicious meals fresh from your kitchen or off your gas grill to enjoy around the dinner table with friends and family. 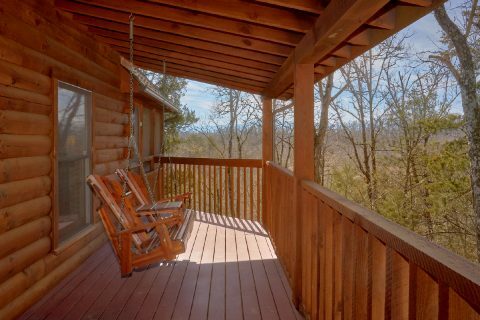 Outside, your screened-in porch offers a relaxing spot away from the bugs on summer evenings. 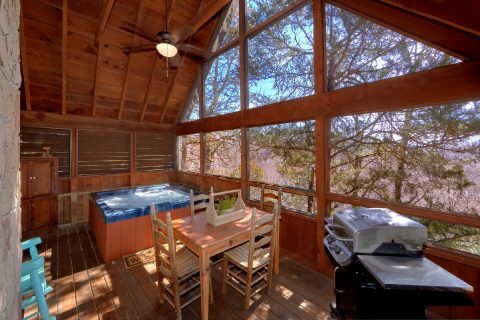 You can also enjoy relaxing in the warm waters of your hot tub after a day of adventure. 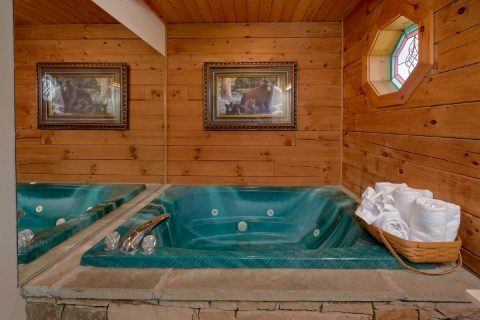 When you're finally ready to go to bed, the king bedroom offers a jacuzzi tub and a full-bath for a spa night before you rest up for another day of adventure. 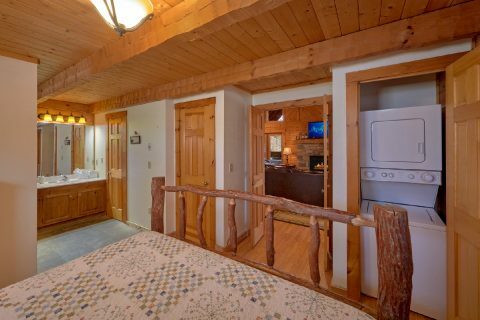 You'll also enjoy practical amenities such as WiFi, a washer/dryer, and 2 parking spaces. 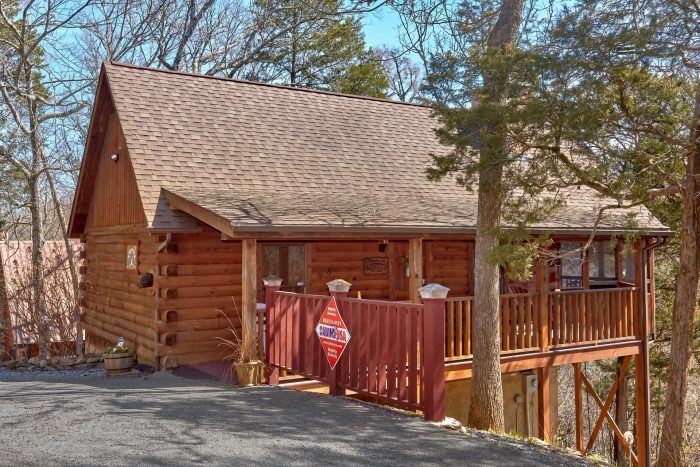 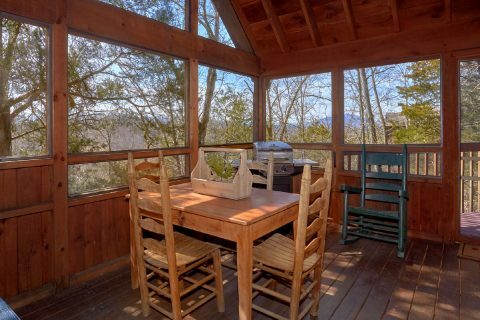 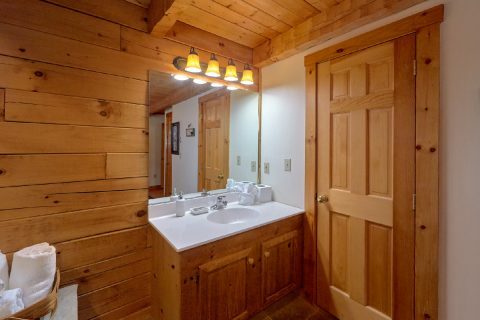 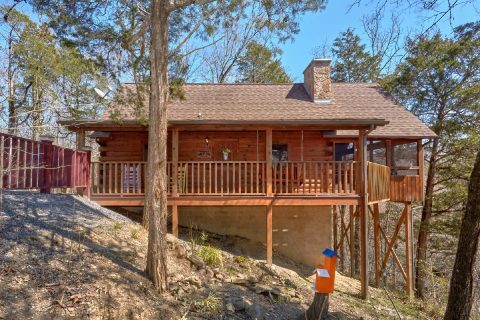 Escape the mountains to "Aah Rocky Top" and enjoy a 15% online booking discount when you reserve this Smoky Mountain cabin rental online today!